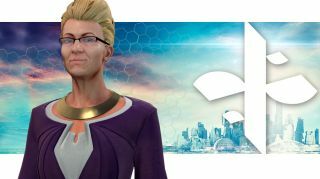 Rising Tide will blur the ideological lines set up in Civilization: Beyond Earth. By investing evenly in multiple affinities you can research and field hybrid units. If you blend the technologist Supremacy track with the organic Harmony track, you can recruit floating fleshy battle tanks. If you devote yourself to Harmony and the isolationist, industrial Purity path you unlock cooler robots and battle walkers called Golems. It's mad science, basically. Both feature in the new trailer above. What does that all have to do with rising tides? Well, the expansion also lets you build cities on water. Find out more about that in our hands-on video preview. The expansion is out this Friday October 9.